I was in Dallas over the weekend for my nephew’s SECOND birthday. My sister asked me if I could watch the kids so she could get the house ready for all the party guests. I haven’t really watched them alone, so I was a little nervous. She suggested that I take them for a drive around town. I wasn’t really sure where to go, so I started out at White Rock Lake. I didn’t take any pictures there since there were a lot of bikers on the road. I loved listening to my nephew in the back talk to himself about the water and the “caca”, which I think means birds. He’s also getting really good at the alphabet. He’s so smart! 🙂 After the lake I drove down Central Expressway, back to Mockingbird. This led me to Peavy road, so I decided to do some reminiscing. 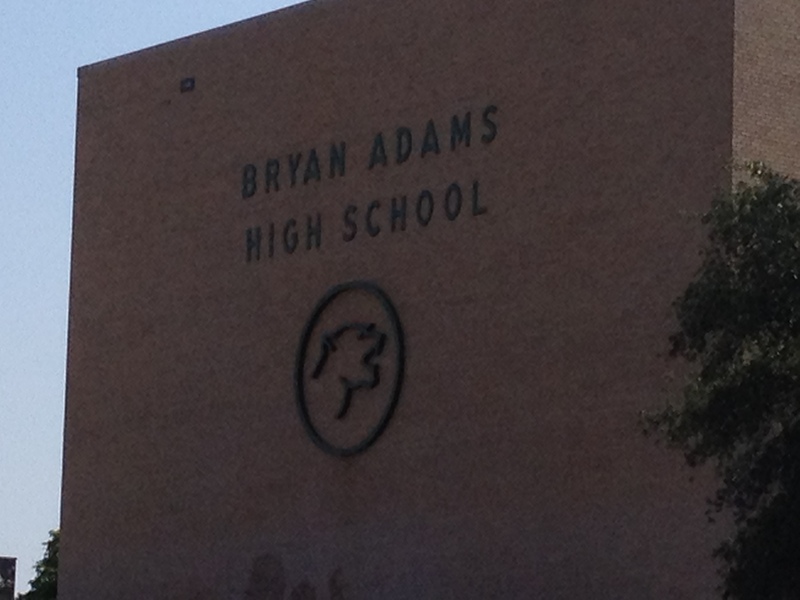 I went past Bryan Adams, my old high school. 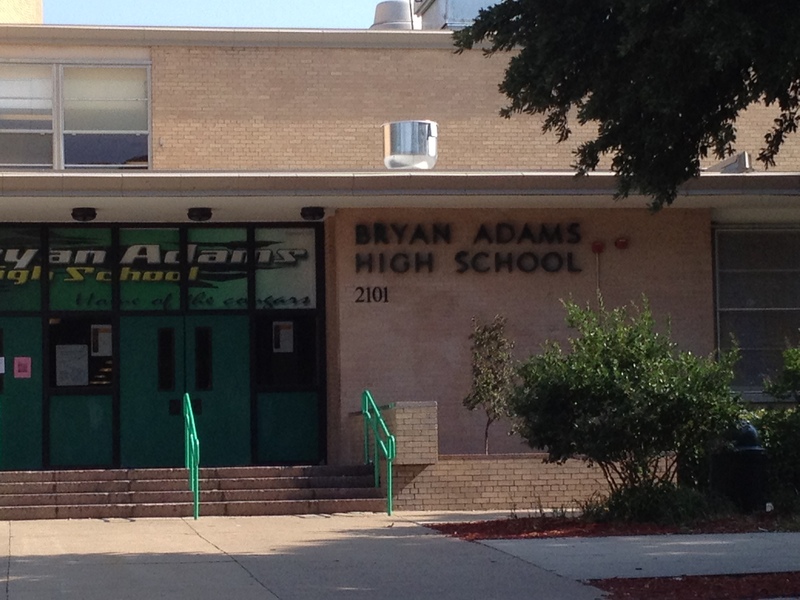 I graduated from there in 84. I really loved it there. You can say what you want about it, but it was a great school for me. 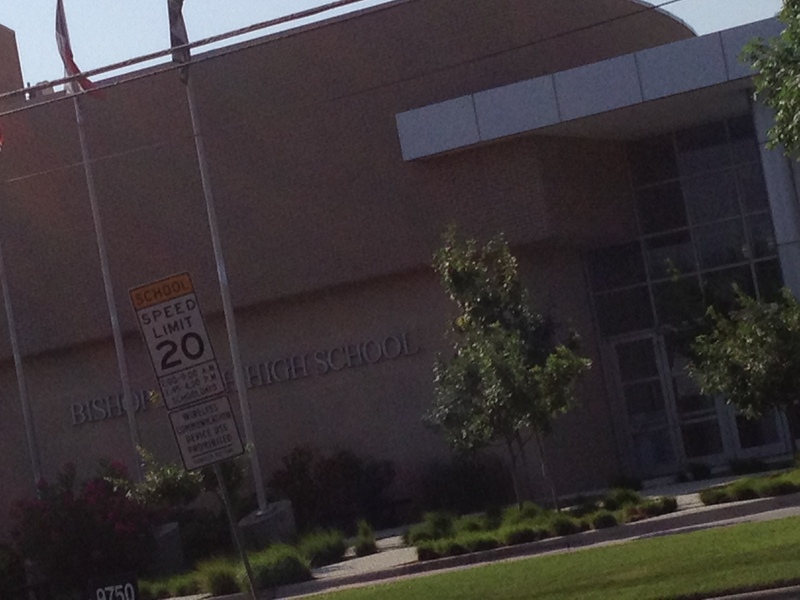 I also went to Bishop Lynch as a freshman. I can’t believe how much it has changed since I went there. It looked nothing like this when I was there. 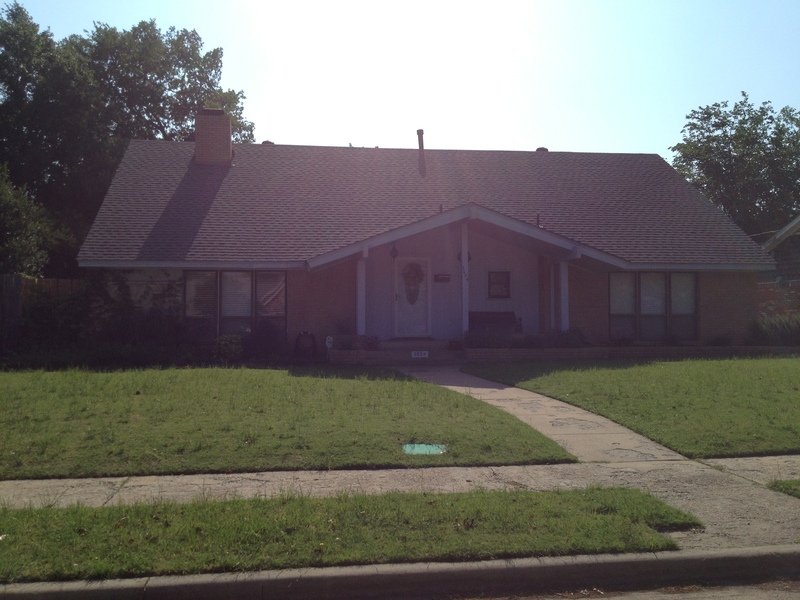 After going past Lynch, I drove past my old house. I lived there until I was 39. 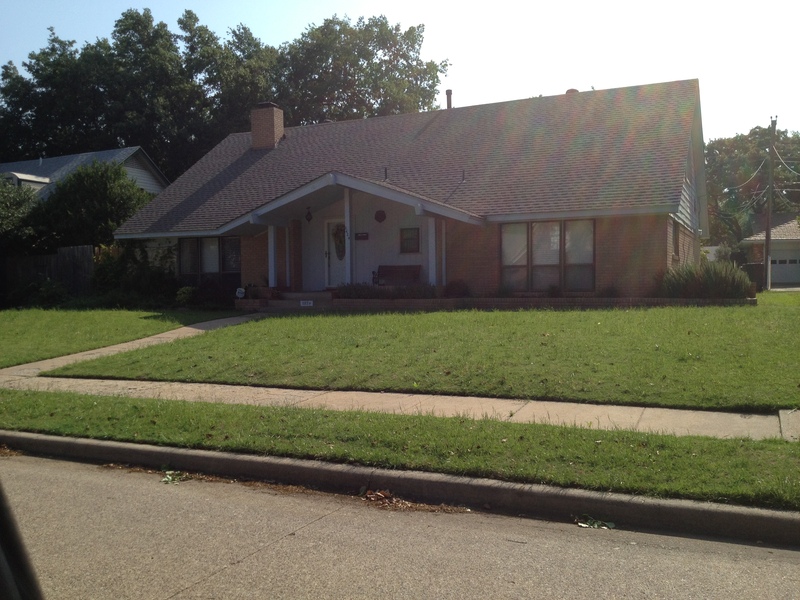 Most of my life was spent in this house. I sometimes miss living there. 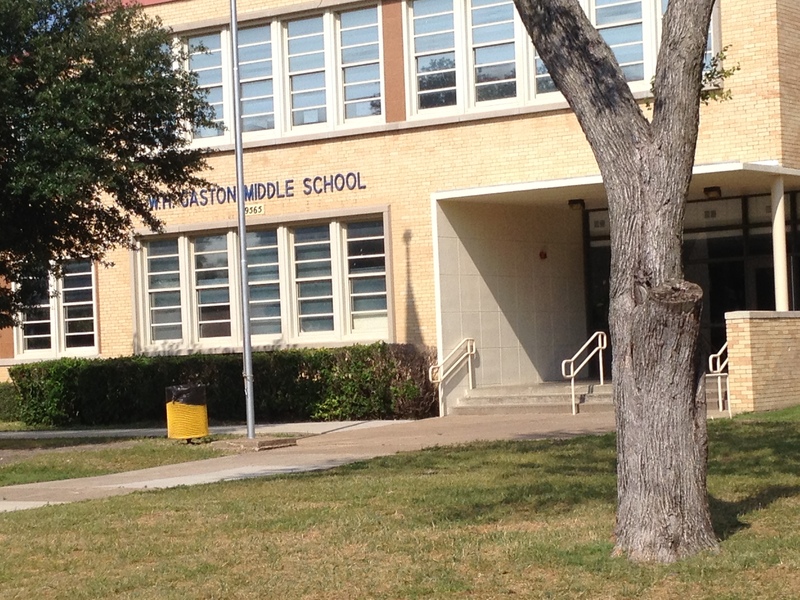 I drove past my middle school. I loved W.H.Gaston too! I’m really sad they had to change the mascot from the Warriors to the Panthers. 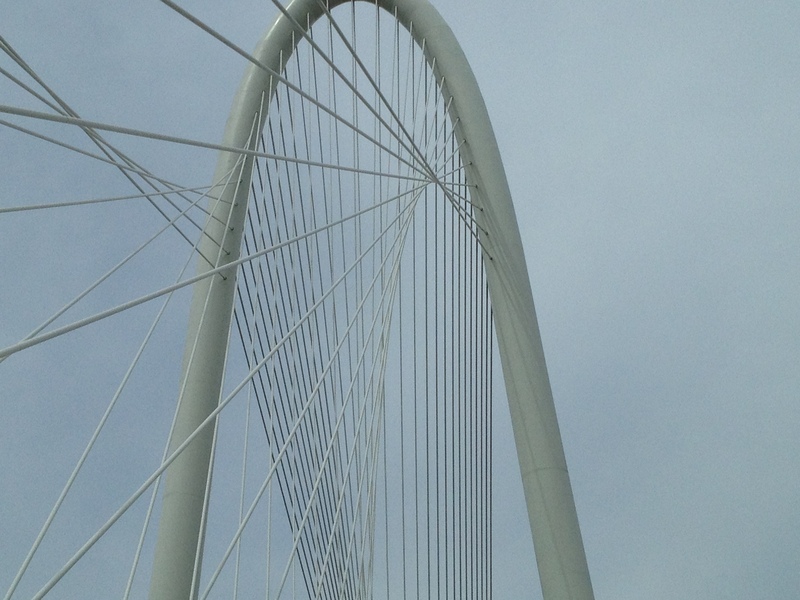 On my way home from Dallas, I finally got to drive over then new bridge leading to Oak Cliff. I’ve been watching it being built for a long time and it was exciting to get to drive on it. 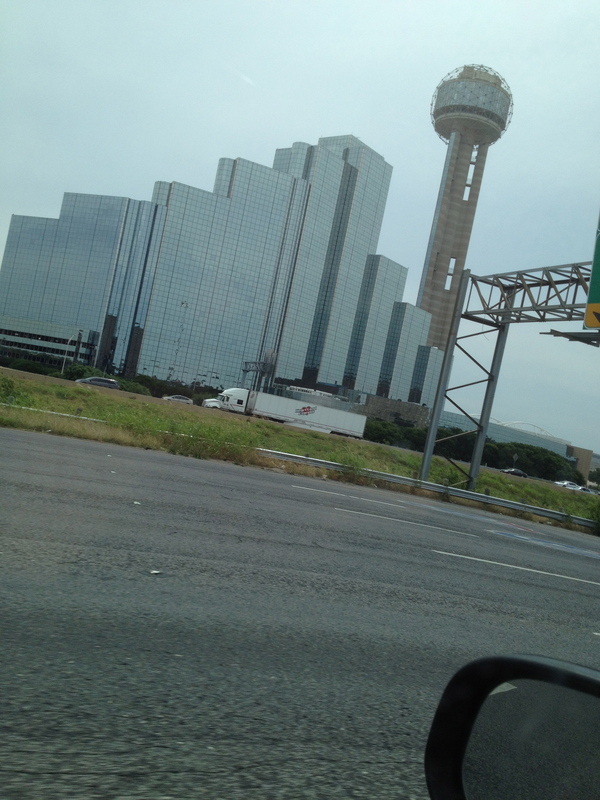 The last major thing I saw as I was leaving was Reunion Tower. I have such good memories there. I went there for my birthday one year with all my friends. I’ve had dinner and drinks in the bar there over the years. 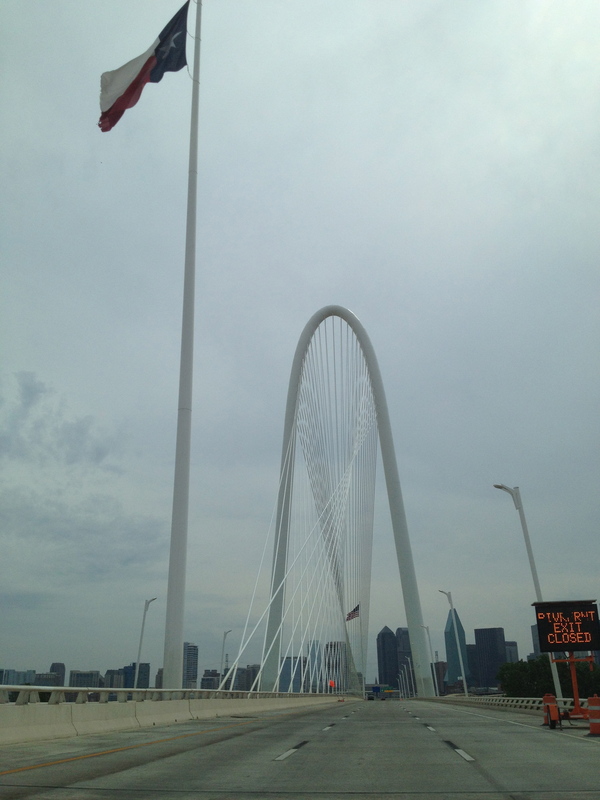 It’s one of the best places to go to see Dallas since the floor rotates when you are up there eating. I really enjoyed my weekend in Dallas. I miss my family and friends, but I love where I am now, too!! I didn’t realize you went all of those places! LOL! Yeah, I drove all over. What does caca mean again? Is it bird?